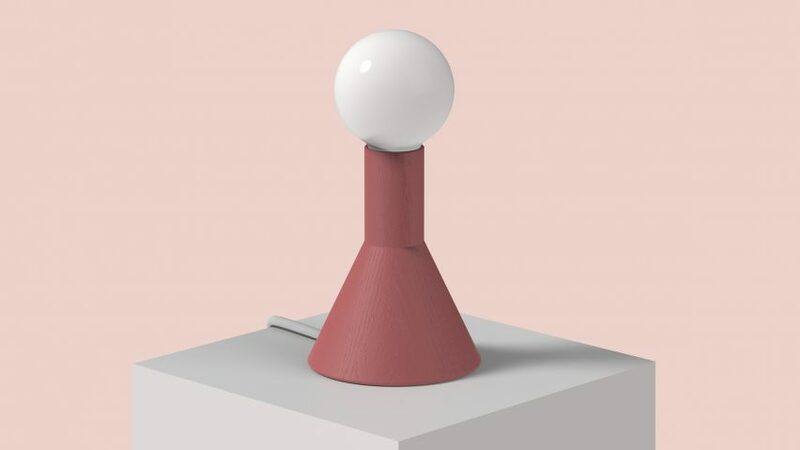 Taiwan-based designer Shawn Yang has designed a wooden lampshade that can serve as both a desk lamp and a pendant light. Yang, an industrial designer who recently graduated from Taiwan's Shih Chien University, made Duplex so it can sit flat on a surface or be hung from the ceiling by its wire. "Duplex is a playful and optional light," said the designer. "Both ways bring comfort atmosphere into the living space." 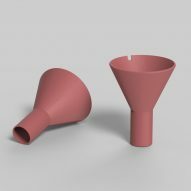 In both of its incarnations, Duplex has the shape of an upside-down funnel. 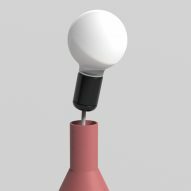 A small gap at the largest opening creates space for a wire to run through, allowing the lamp to sit flat on surfaces. As a pendant light, the lampshade is hung by its wire, with the largest opening facing downwards. 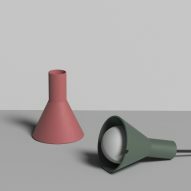 The lampshade, manufactured by wood turning, comes in green and pink. Yang's portfolio of design work includes a giant spirograph that makes three-dimensional patterns on home accessories including chandleholders, bowls and lampshades. This was his 2016 graduate project. 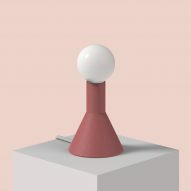 Other recent lighting projects have seen design collective Outofstock create a heat-compressed felt lamp that varies in appearance depending on the angle it is viewed, and Bucharest designer Dragos Motica make a lamp that can be turned on and off by moving a metal ball.